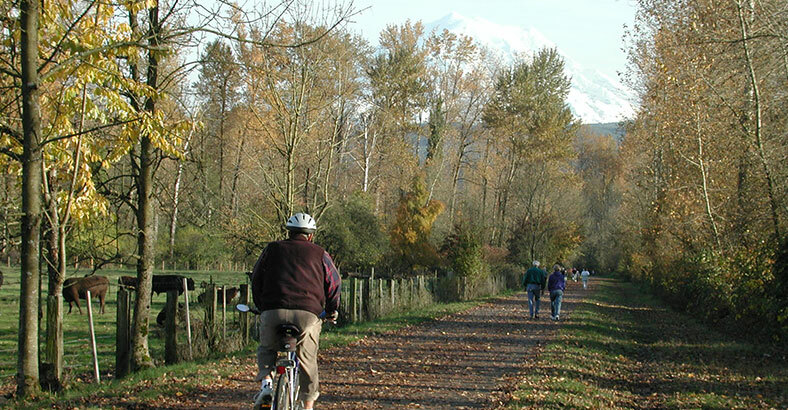 This portion of the Foothills Trail begins at the trailhead adjacent to the Puyallup River and concludes at Orting Model Mile, nearly four miles away. The trailhead design provides lighted parking for 23 vehicles. 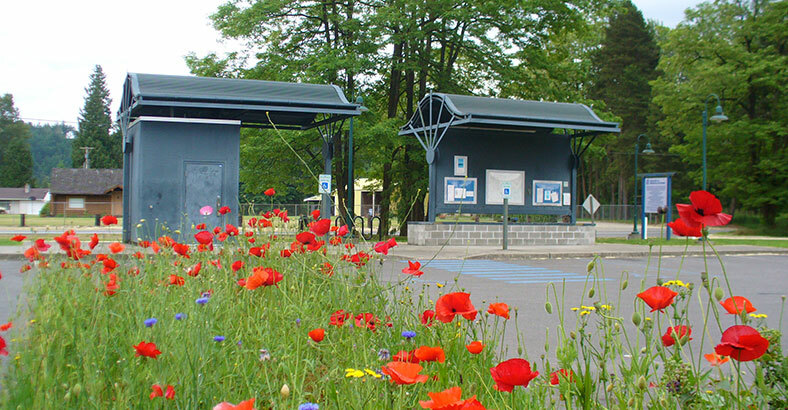 Other trailhead amenities include a unisex bathroom, water fountain, hitching post, bike rack, and information kiosk. The style of both the restroom structure and information kiosk is reminiscent of historical train depots. The information kiosk provides ample space for trail-related postings, as well as for tiles along the seat wall. Sale of tiles to trail supporters will provide funds for future trail improvements and amenities.